The deep roots of our Christian tradition may offer just such a path. For centuries, monastic communities have shaped their lives around rhythms and disciplines for following Jesus together. Such a pattern is known as a “Rule of Life.” The Way of Love: Practices for Jesus-Centered Life – outlines a Rule for the Episcopal branch of the Jesus Movement. These practices are designed to be spare and spacious, so that individuals, ministry groups, congregations, and networks can flesh them out in unique ways and build a church-wide treasure trove of stories and resources. There is no specific order you need to follow. If you already keep a Rule or spiritual disciplines, you might reflect and discover how that path intersects with this one. 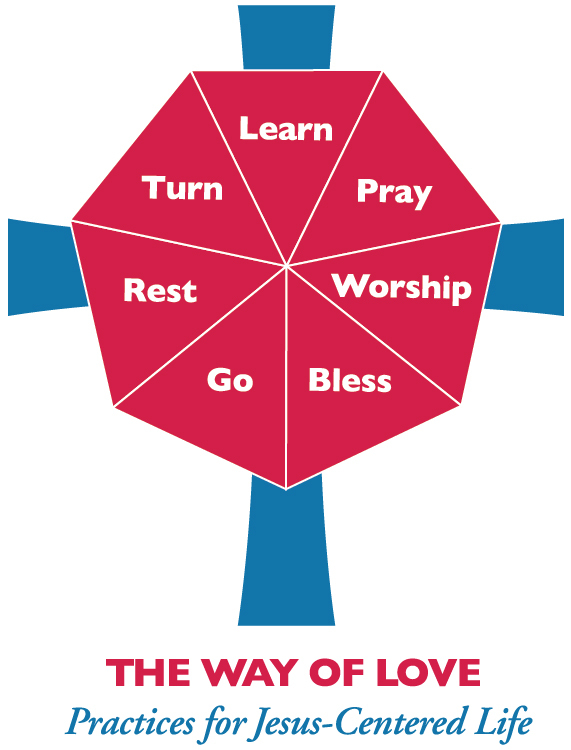 By entering into reflection, discernment and commitment around the practices of Turn – Learn – Pray – Worship – Bless – Go – Rest, I pray we will grow as communities following the loving, liberating, life-giving way of Jesus. His way has the power to change each of our lives and to change this world. To the Fall/Winter 2018 issue of Reflections magazine on Walking the Way of Love.